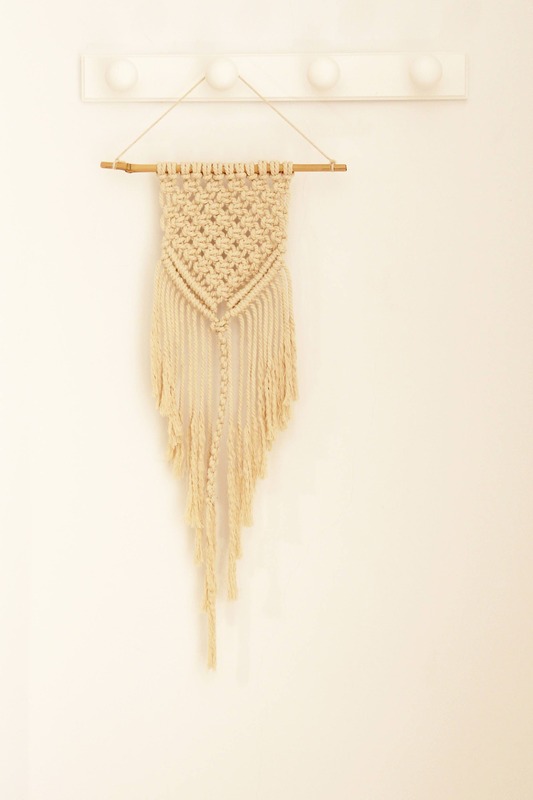 Decore your room giving a bohemian and soft touch with this macrame tapestry made by hand with lots of love knot by knot. 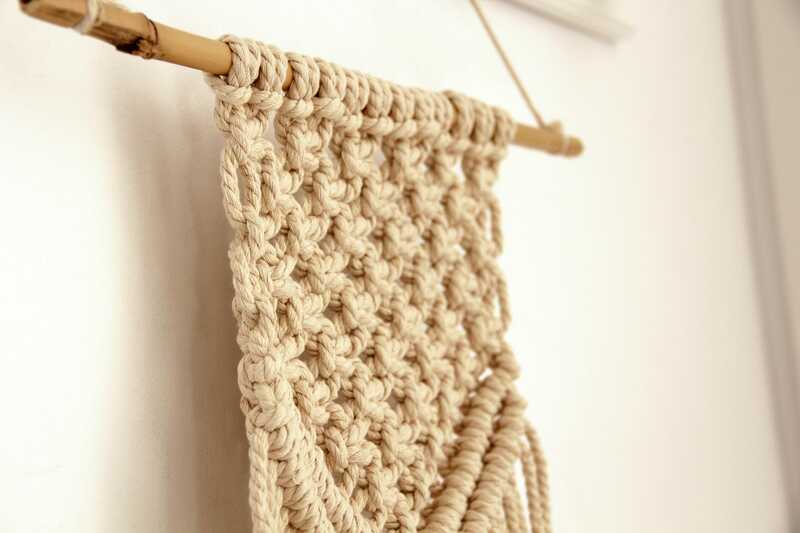 You can hold it on the wall with a litle hook (not included) wherever you want. It will look great in the house and also in a patio or a garden. 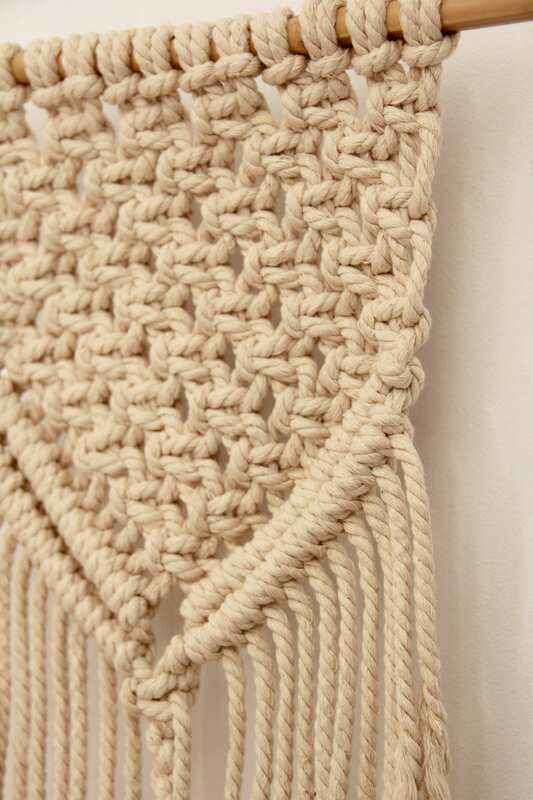 The rope is made of natural cotton 100% about 5 - 6 mm thick aproximately. If you need any variation of dimensions or colour write me and I'll do my best. Each creation I make is done in my atelier and each one is not identical to the others. My macrame, lamps, prints and notebooks are handmade and they could have little differences among them wich give them value and character to the piece.